Brett H. Pritchard P.C. - Founder and President, The Law Offices of Brett H. Pritchard. Brett H. Pritchard P.C. is the founding attorney and president of The Law Offices of Brett H. Pritchard. The firm is located in Killeen, Texas between Austin and Dallas. They are a leading law firm in the area, practicing family law, child protective services, criminal defense, and personal injury law. They have been serving the Killeen community for more than 18 years. Pritchard opened his own law practice shortly after graduating from law school. He is an aggressive litigator that works tirelessly to secure the best outcomes for his clients—a process that includes a great deal of pretrial preparation and close consultation with each client. By approaching each client as a unique case, he is able to provide the client with the best possible outcome. He has a successful educational background that set him up well for entry into the legal field. He graduated from Brigham Young University with a Bachelor of Arts in Political Science. While there, he was a member of the Sigma Gamma Chi Pre-Law Society. 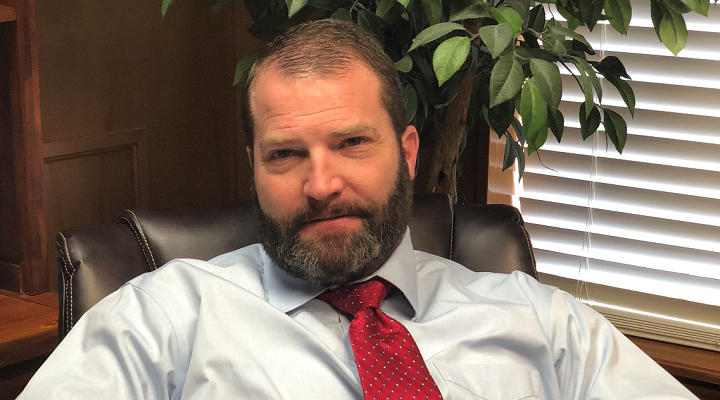 After completing his undergraduate degree, he moved on to Texas Tech University School of Law where he completed his Doctor of Law degree in 1998. Pritchard is committed to the success of The Law Offices of Brett H. Pritchard, but he also finds time for important volunteer work. He spends time serving his community and he’s a former member of the Board of Directors of Aware Central Texas – an organization that works tirelessly to help prevent child abuse and family violence. I’ve known I wanted to be a lawyer since high school. Some people spend their first year or two of college searching for the right career direction, but that was never a problem for me. I knew where I wanted life to take me from an early age. As far as what inspired me to start my business, well it comes down to wanting to make my own mark and inspiring others. Opening The Law Offices of Brett H. Pritchard allowed me to ensure that I was actually working for a firm that cared about its clients and one that was focused on getting them results. I make money by satisfying my client’s needs. The best advertisement for a law firm is word of mouth. By providing clients with the best legal counsel possible, there is a better chance they will recommend you to their friends and family. Law firms are not an atypical business. Entrepreneurs in other fields can take time to establish their expertise in the community, but the same isn’t true in the field of law. You cannot open a law firm if you are not already legally qualified to provide expert service to your clients. For that reason, The Law Offices of Brett H. Pritchard was profitable shortly after we opened our doors. Everyone has his or her doubts from time to time. I certainly wasn’t immune to that. In the field of law, you will always have a few unsatisfied clients – everyone expects the perfect result. Unfortunately, you can’t win every case. All you can do is provide the best possible advice and legal services. I’ve learned to accept that and that’s allowed me to continue providing the best possible legal service to clients that need help. My first customer was a referral. That’s often the case in the legal world. Good referrals have helped to build our reputation and they continue to do so. We’ve created a strong online presence. In today’s world, no business can succeed without it. It doesn’t matter what industry you’re in. The first thing people do when they’re looking for a service is to visit their favorite search engine. They have to be able to find you. A case doesn’t always go the way you expected it to go or wanted it to go. Sometimes you have to accept that and move on. It’s never easy giving a client the bad news, but it is often necessary. That’s the toughest part of my job. I’m always striving to get the best possible outcome for my clients. I’m never willing to accept that there isn’t a workable solution. That refusal to accept outcomes that aren’t ideal unless there’s no other choice has served me well. It’s tough to come up with just one satisfying moment when there are so many. I’m always satisfied when I can help a client through a difficult divorce and come up with the best possible solution for them and their children. Our doors have been open for more than 18 years now and our goals have always been the same – we want to continue to grow our business through satisfied clients and quality referrals. I’m excited to see what the next 18 years has in store! Napoleon Hill’s Outwitting the Devil: The Secret to Freedom and Success really inspired me. Any software that helps me stay focused and productive is worth the investment. Never underestimate the value of productivity. It repays its investment over and over again. What would you tell a younger version of yourself to help them succeed? I would tell them to stay focused on their goals. There will always be distractions along the way, but as long as you are sure of where you want to go the task is that much easier. If you find you can’t stay focused, there’s a good chance you’re on the wrong path.